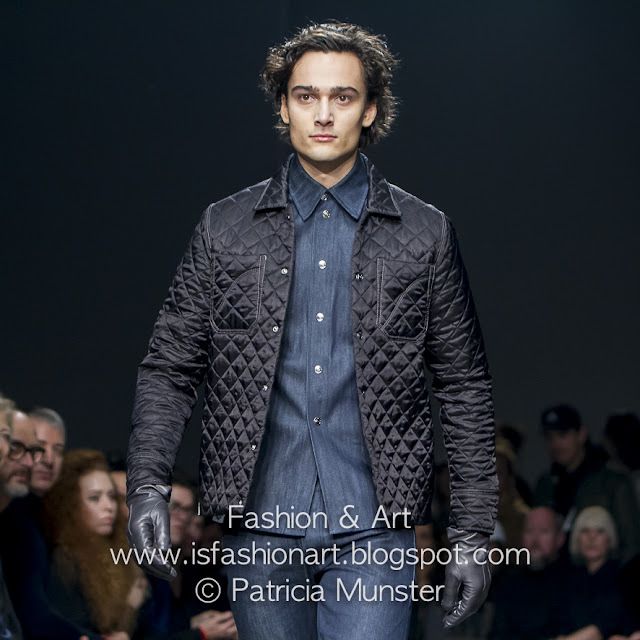 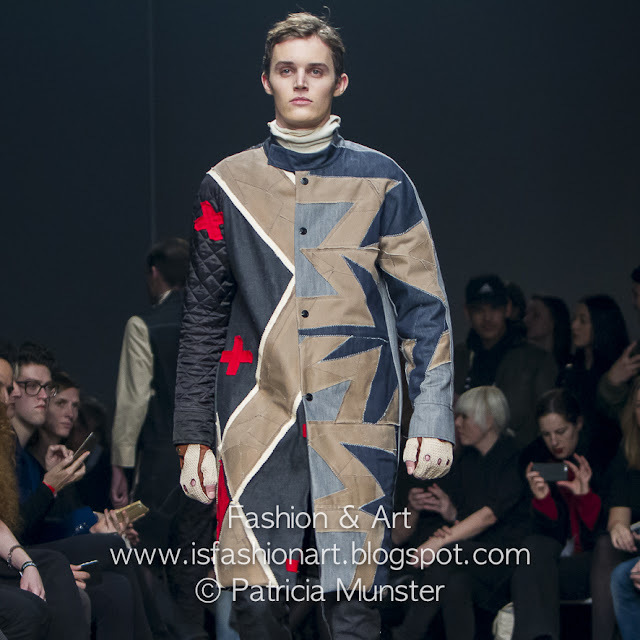 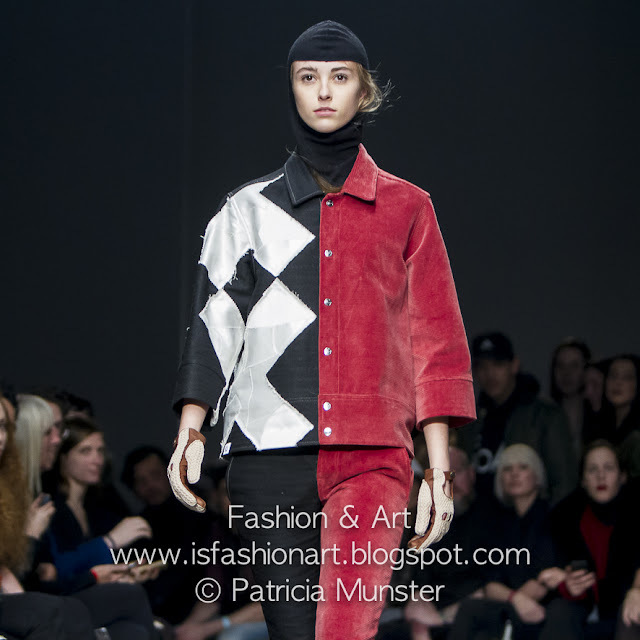 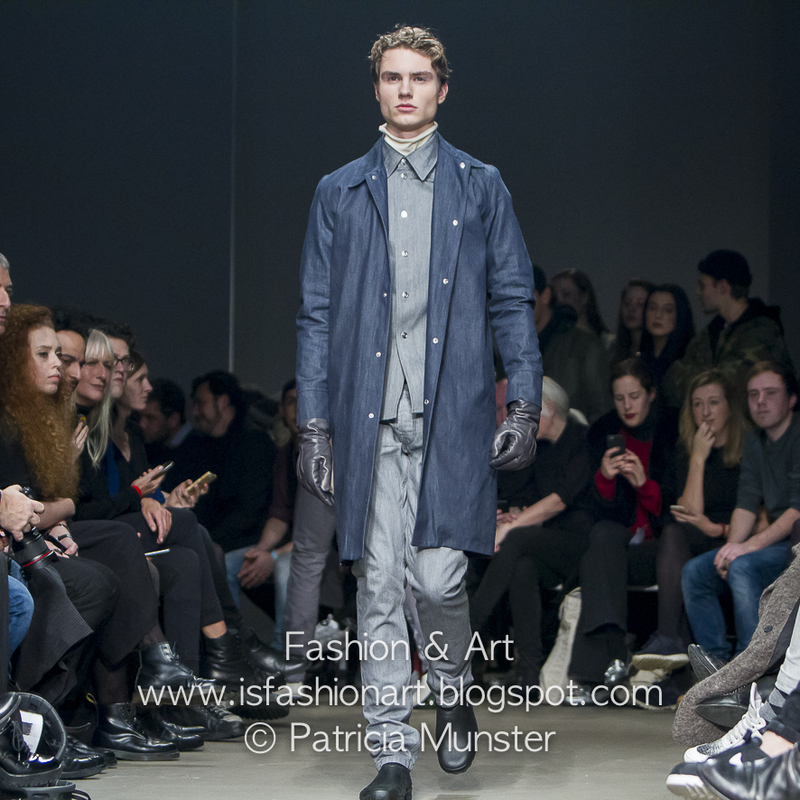 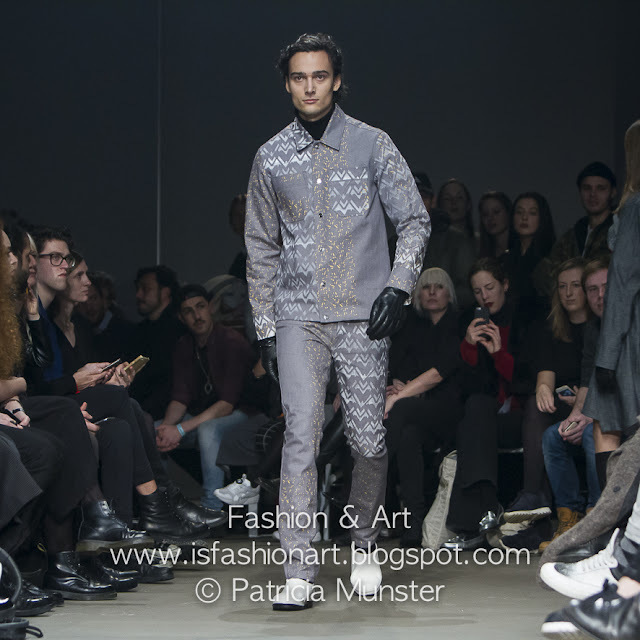 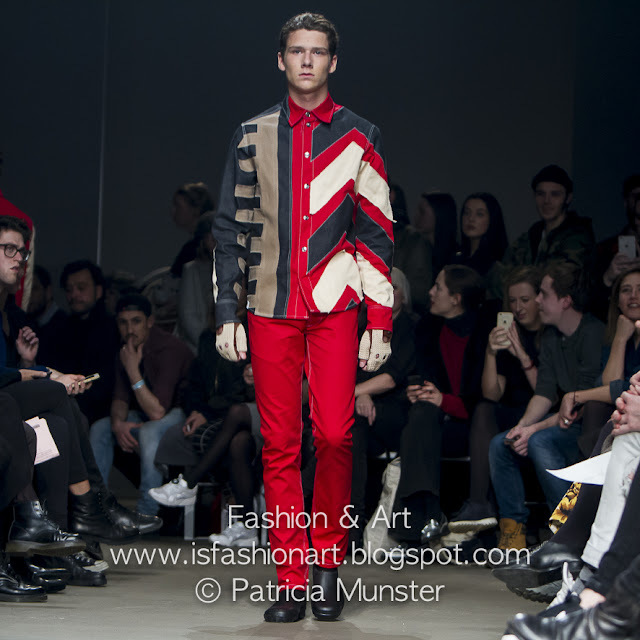 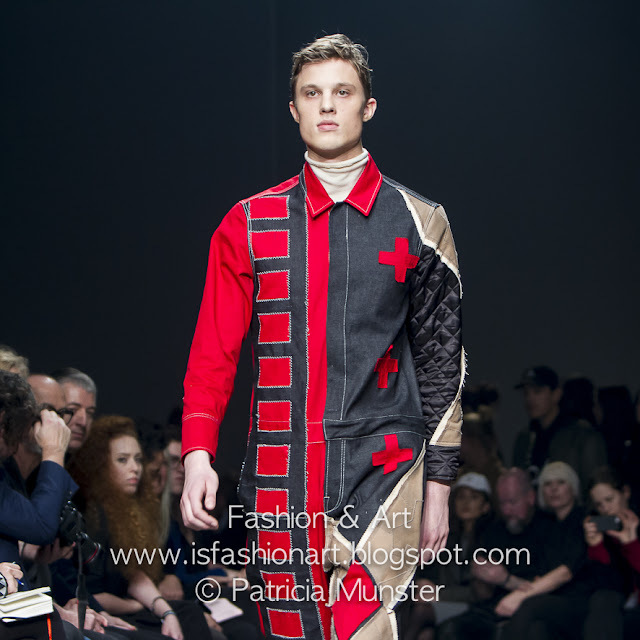 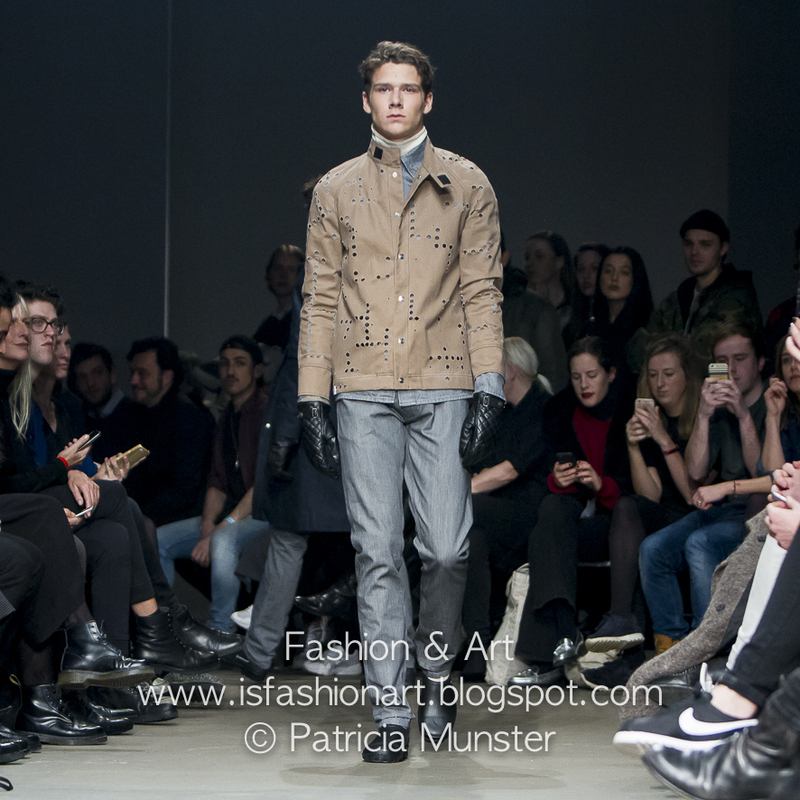 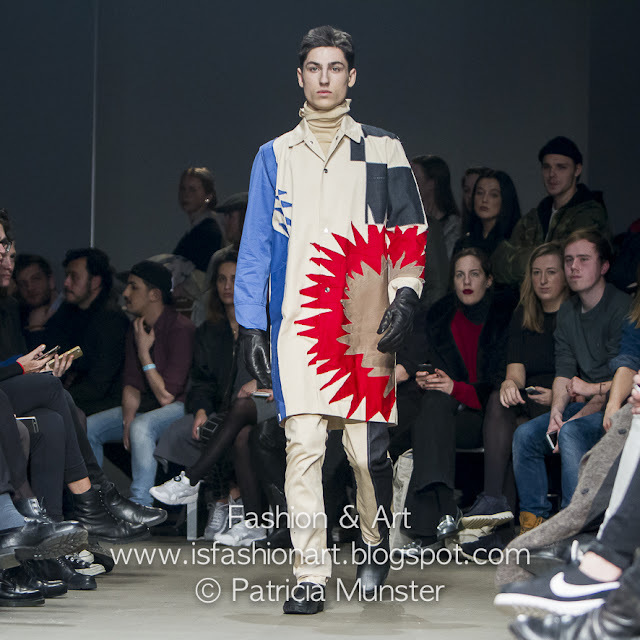 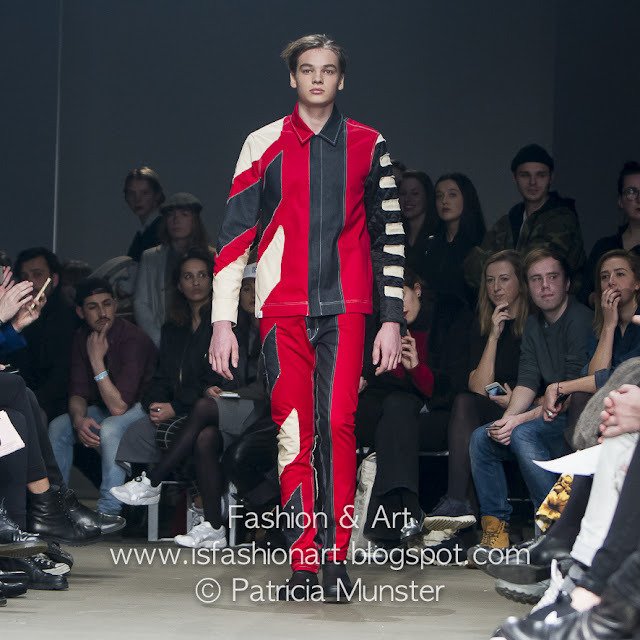 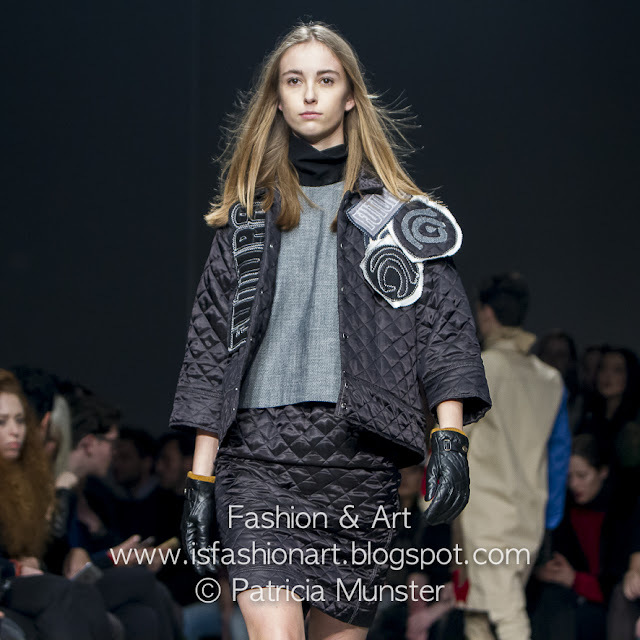 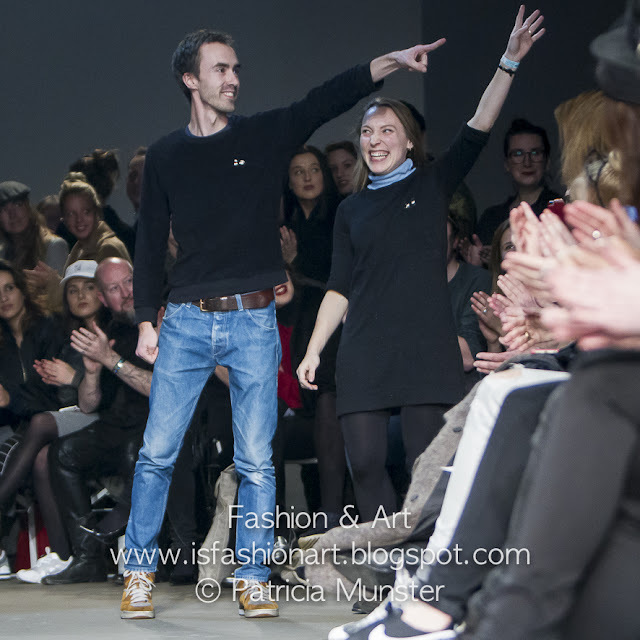 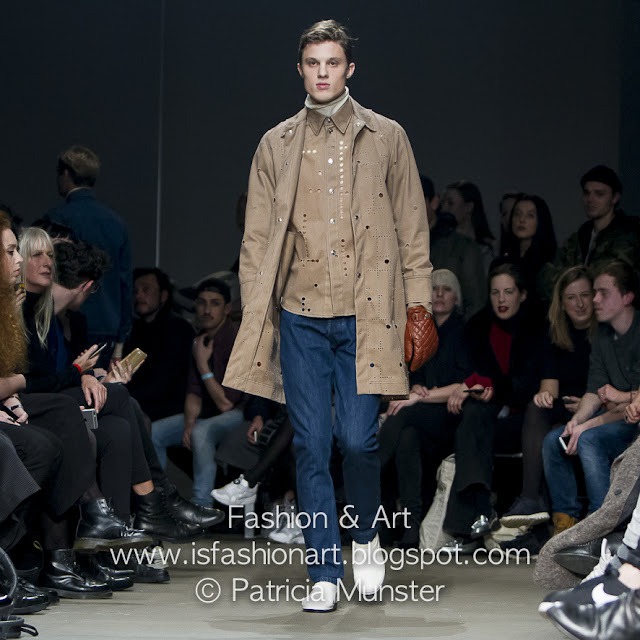 FUTURA showed its AW16 collection during the 24th Mercedes-Benz Fashion Week Amsterdam. 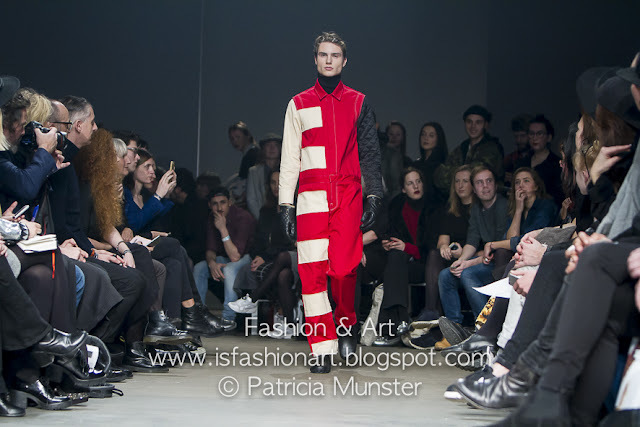 The designers behind FUTURA, Anne Bosman, Sanne Schepers and Tom Renema, were inspired by Formula 1 races, men in bright color overalls with a lot of patchwork, wearing gloves and Dunlop boots, ready for the pit stop. 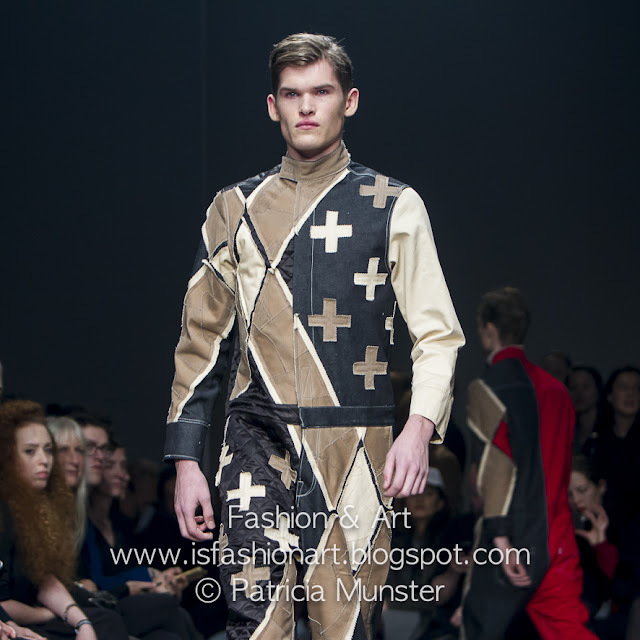 But also for men that aren't wearing such bright colours, there was a lot of choice. 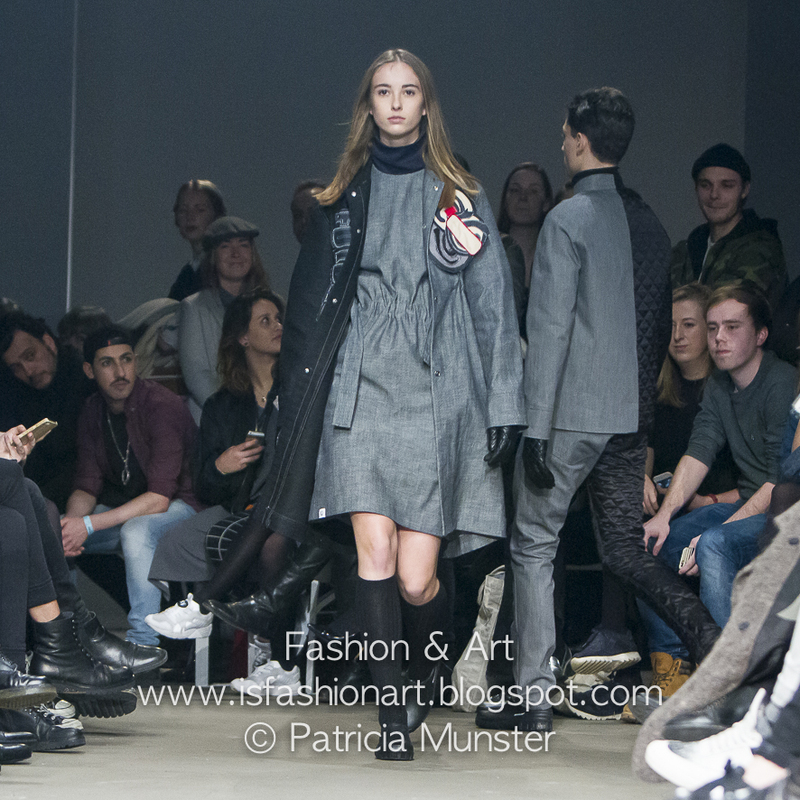 Although FUTURA is launched as menswear label, they showed also a few womenswear outfits. 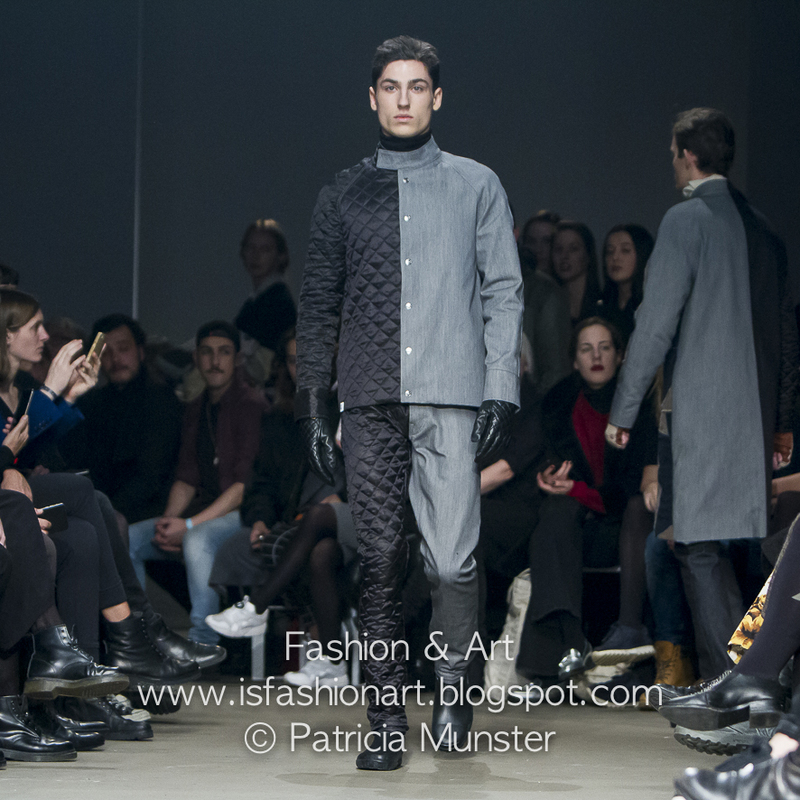 The black quilted outfit I liked most!